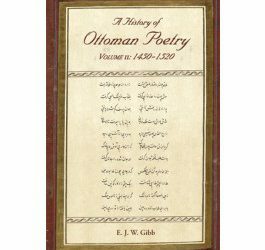 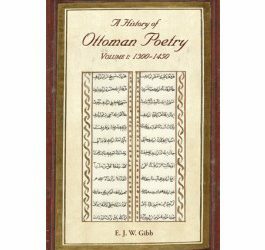 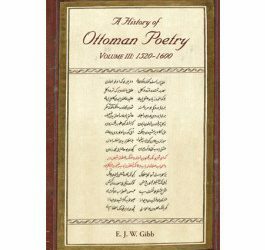 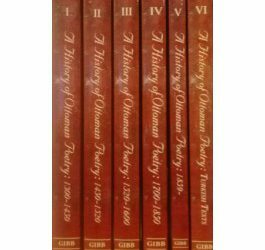 Volume IV (originally published 1905) covers Ottoman poets of the eighteenth and early nineteenth centuries, a period regarded by Gibb as one of transition between the classical age of the sixteenth and seventeenth centuries, and that of the modern school beginning around 1860. Persian influences upon Ottoman verse began to give way to more Turkish styles, the Ottomans having grown weary of being, according to Gibb, ‘the parrots of the Persians’. 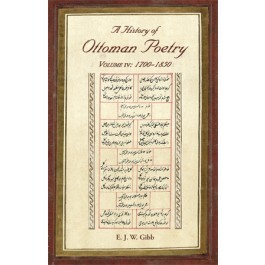 The two trends nevertheless continued side by side for some time, a contest between the new, more sprightly Romanticism, glowing ‘with a brightness of local colour’, as represented by Nedim (d. 1730), Sheykh Ghalib (d. 1799), and Sunbulzade Vehbi (d. 1809), and the remaining Persianist tradition exemplified by the poetry of the grand vezir Mehmed Raghib Pasha (d. 1763).